Mahangu, porridge, pap, oshifima. Chances are you will see me use these words a lot over the next two years. Mahangu is one of many traditional foods in Namibia. It is prepared in some form or fashion in most Namibian households. On my homestead, it’s used daily to make oshikundu (a traditional drink) and oshifima (a stiff porridge used as you would a dripping bread). Several times throughout the year, my host brothers head to the farm to harvest mahangu. They have been at least twice since I’ve moved in. All I know is 1) “The Farm” is very far away 2) Harvesting mahangu is very, very hard work. Mahangu is harvested and then pounded down to create a flour-like product which is then used to make oshifima. Before I get too ahead of myself, here are a few Cultural Fun Facts I wish I would have known sooner, and I am sure other PCVN can relate. Fun Fact #1– It is considered rude to smell your food before you eat it. Still trying to break this habit. Fun Fact #2– It is rude to refuse food. You can usually say something along the lines of thank you, but I ate, I am full. Fun Fact #3– It is traditional to wash your hands before you eat (and also hygienic). At a family meal, we pass around a wash basin filled with soap and water for us each to wash our hands. Fun Fact #4– You should only eat oshifima with your right hand. Whoops again! Fun Fact #5– When offering a homemade food or drink, it is customary to taste it in the presence of the person. It shows that it is indeed nawa to consume, kinda like a modern-day wine bearer, but of your own offerings. Making porridge to feed the pigs. Every man, woman, child and animal eats mahangu around here. I should really stop becoming friends with potential Namibian entrees. This weekend my host family celebrated a season of a bountiful harvest of mahangu. We all gathered around the coffee table. We feasted on oshifima and goat meat. I can compare this experience to what we do in America on Thanksgiving. It’s a huge celebration. There is singing and prayer and lots of laughter. Unfortunately, my host mom was not home at the time due to a death in the family. So, my host sister, Lucia prepared most of the meal with the help of my brothers to braai (similar to BBQ) the goat meat. As we sat around a crowded coffee table rejoicing over the abundance of oshifima and meat for dinner, I began to realize how thankful I am for a family who has accepted me into their house as their own. Although there is still a period of transition for me between Fort Worth to Okahandja and now Ondobe, I am at HOME. how to take great notes and pass a really hard class with flying colors. The last few weeks of summer have been spent with me working and trying to enjoy my time away from the books before Fall semester aka my last semester begins. During this 8-weeks crash course, I developed a few strategies which I would like to share. Some of these are no secret. But, just helpful tips for anyone taking a difficult course. I am an auditory and visual learner. Auditory to the degree I can remember weird inflections in voices that help me remember information. I like to doodle, so I claim the visual learner title as well. Maybe, I am just weird, and this is way more information anyone needs to know before they read my tips. Okay, I’ll cut to the chase. Tip #1- Read the text. Yeah, that’s no secret. This semester I discovered my tolerance level to classmates that ask me questions or straight up ask for answers and they have not read the text or even opened their book for that matter. One girl even said, “I can’t find the answer and I didn’t want to read through 400 slides to find it.” I’m not going to lie, I somehow made my made through high school and most of my marketing/communications degree without reading many textbooks. But, for a complicated subject, reading the material (prior to class) is key. This is even more important during a shortened semester. Instructors expect you to be prepared before class, and quite honestly, it’s frustrating for them, as well as your classmates, when you ask questions which clearly tells you didn’t read any of the material. When following Tip #1, take notes while you’re reading. I found it very useful to use 2 pens (one black and one blue) and 2 highlighters (I use blue and green). While reading on my own, I take notes in black ink and highlight in green. During lecture and lab, I would only take notes in blue ink and highlight in blue. For me, this helped me remember things that were discussed in class as opposed to on my own. This also helped with clarifying topics. For instance, there was a typo in our textbook which stated the chemical formula for glucose was C6H12O2 instead of C6H12O6. I brought this typo up in lecture and marked this in blue ink. For me, it helped to know this was corrected and addressed by the professor, so I should remember it now. I also used the same method when correcting my test. Tip #3- Read your notes!!! 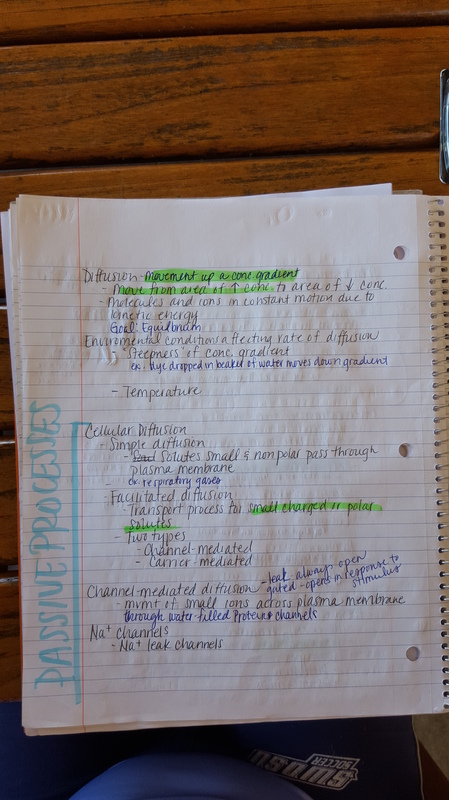 Notes are your condensed version of the main points and topics in the text. Read them! Review them!!! Tip #4- Go to office hours, study groups, and labs. Your tuition essentially funds lab tutors/mentors, office hours, and materials. GO TO THEM!!! 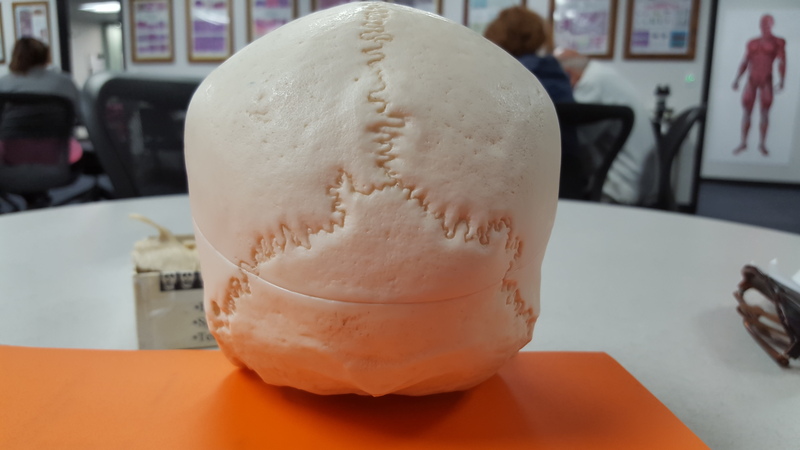 I learned so much more than I needed to know for A&PI by going to our campus’ science lab. Each time I went, I had a one-on-one tutor helping me with the material, they even prepared me for topics before we went over them in my lecture. You’re already paying for these services, so go! Tip #5- Communicate with your instructor. Do not wait until the end of the semester when your grade is at stake. Come a few minutes early to class, stay a few minutes late. Ask questions, even if you know the answer. Email them when you have questions or concerns. On every test day, I got to campus at least an hour early to review. I was the only person there, but my instructor saw me every test day waiting in the hallway studying. Not saying this is why I passed this class, but instructors see students taking initiative.